The range includes four steps - masque, shampoo, conditioner and dry shampoo. 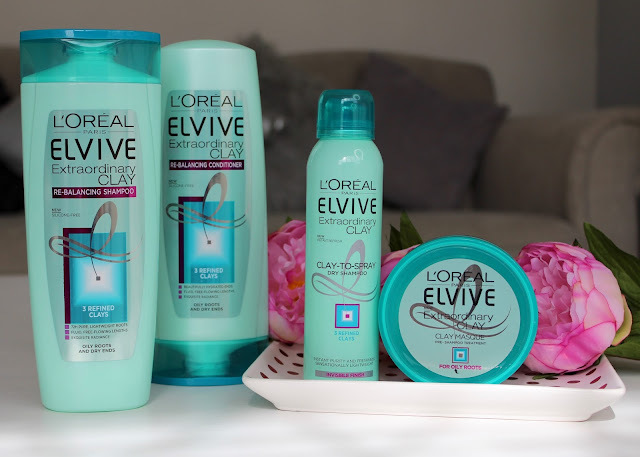 I started out purchasing just the first three, and got into a routine of applying the masque on dry hair and leaving it for around ten minutes before shampooing and conditioning as normal. On my first try I left the masque on for a good while as I was relaxing in the bath, and then washed my hair. After my hair was dry it felt pretty normal - my hair always feels very clean when freshly washed with any shampoo - it's over the next 24 hours later that the greasies would set in. The next day when I examined my roots in the mirror, I was genuinely shocked to see that they didn't look greasy at all. I wasn't expecting this, and didn't really trust what was happening! I tried to style my hair without over brushing or touching it too much, and actually left the house with unwashed hair! As the day went on I realised I was very self-conscious about whether or not my hair was greasy, and was constantly checking it, which probably didn't help. My roots looked flat and a bit shiny, but not greasy... this was a real first! By the end of the day I felt my hair was starting to look greasy at the roots when I scrutinised it, but probably not enough for anyone other than me to notice. I also felt like the hair around my face felt a bit lank, so not a perfect result, but definite progress! Since that first try I've learnt that leaving the masque on for longer certainly helps, and 10 minutes is about the minimum for me. Also using the dry shampoo lightly around my roots and particularly at the front on day two really gives me more confidence that my hair isn't looking greasy. I've tried using the shampoo and conditioner alone without the masque, and I don't get the same results - my hair does stay cleaner for longer, but not enough for me to be happy to skip washing on the second day. So I've found the masque is definitely a necessary step, albeit a slightly annoying one as it adds extra time to my routine on day one, and also I sometimes jump straight into the shower after waking up and forget to put it on first! I don't really rate the dry shampoo unless I'm using it on a day when I've also used the masque the day before. It's very light textured, which is great because my biggest complaint with most dry shampoos is how horrible they feel in the hair, and also unless you get too close when spraying, it doesn't leave any white residue in the hair. Because of these benefits, I don't think it's overly powerful, which is why it doesn't do much for me on a 'normal' greasy hair day, but it's just right on my new post-masque day two. All in all, if you have mildly greasy hair, I think these products are going to work amazingly well and you could get 72 hours out of your wash as the marketing suggests, or maybe longer. 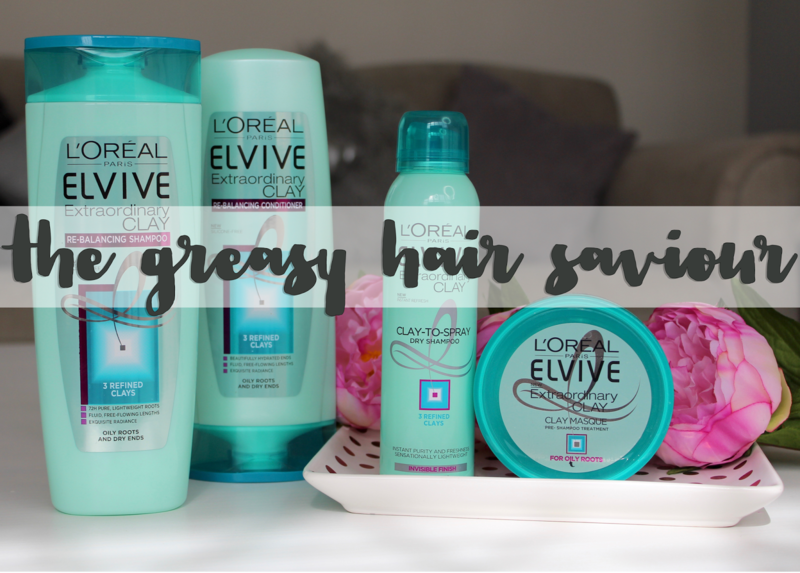 How greasy your roots are naturally is going to have a baring on how effective these products are, but even with seriously greasy roots like mine, I'd still suggest giving these a go if you're currently an every day washer. The Extraordinary Clay range costs from £2.89 for the smaller size shampoo or conditioner up to £5.99 for the masque, but look out for three for two or half price deals which seem to come around quite frequently, and Boots have been doing a three for £10 bundle deal on - I've been stocking up!